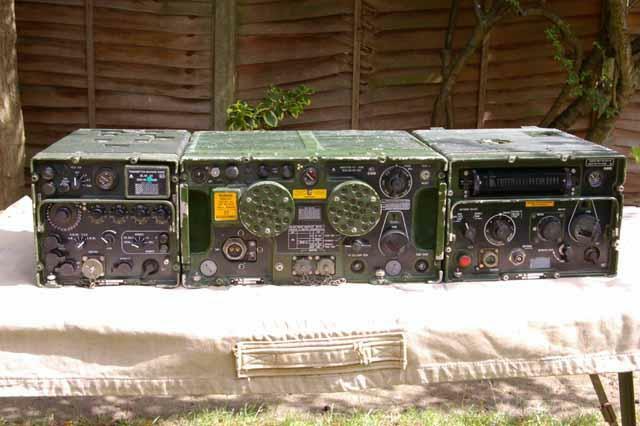 The British Army Clansman UK VRC-322 250 Watt, high power HF radio station. 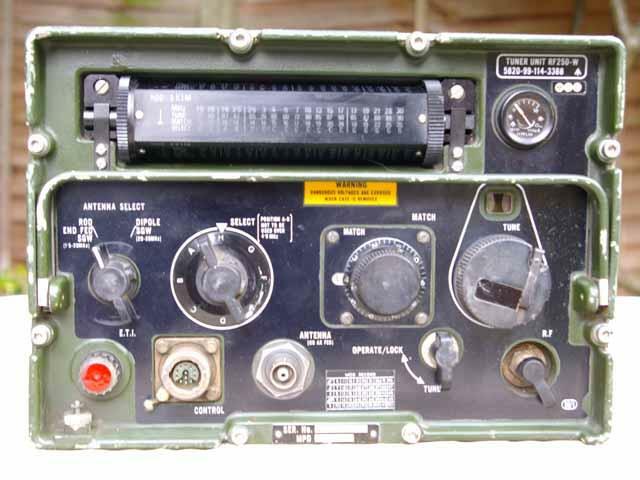 This station is essentially a VRC-321 with a additional 250 Watt RF Amplifier and a suitable high power Antenna Tuning Unit TURF. 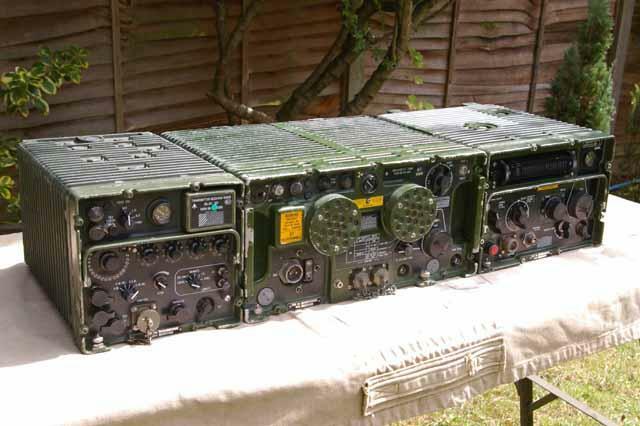 The VRC-322 radio system has been designed and developed by MEL Communications Ltd in Crawley, England for mobile or static use. It is primarily designed as an High Power HF vehicle station for mobile ground-wave operation, but can also be used as a ground station or for sky-wave operation over long distances. Digital frequency selection in 100 Hz steps over the 1.5 to 30 MHz frequency range. 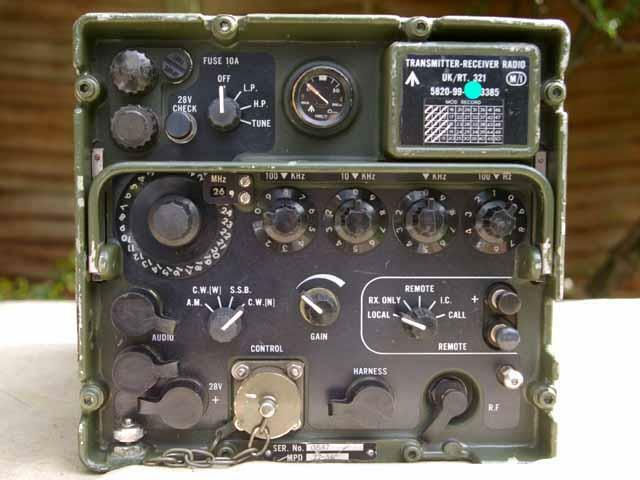 All frequencies are synthesized from one reference oscillator. 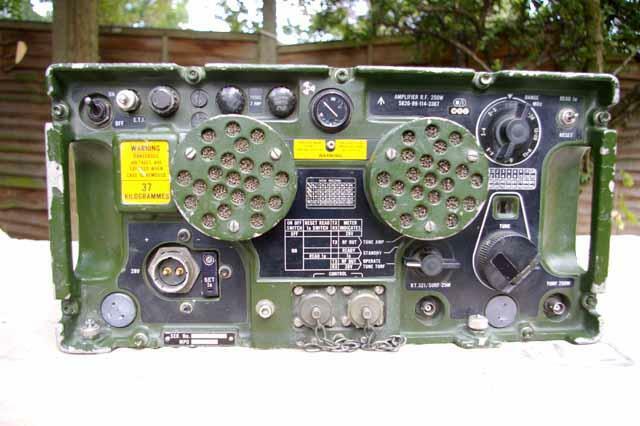 The receiver / transmitter frequency is selected by decade switches. Power output, High Power 300 Watt PEP (SSB), 250 Watt CW, Low Power 40 Watt PEP (SSB), 25 Watt CW. Beta light illumination is provided to enable the meter and Setting Switches to be read in the dark. The equipment operates from 28 VDC power supply which can have a wide variation in nominal voltage ô20-32 VDCö and suffer from ripple, surge and transient variations. It has a power consumption of 250 W on high power standby, 1050 W on high power transmit, and 30 W on receive. Direct connection is provided for audio gear, remote-control, and so on. Mobile antenna, static ground-wave antenna, end-fed sky wave antenna or dipole antenna can be used with this radio station. The controls and front-panel has been designed to permit straightforward unambiguous operation without the need for extensive operator training. Protection circuits prevent damage from various hazards including local high power transmissions. 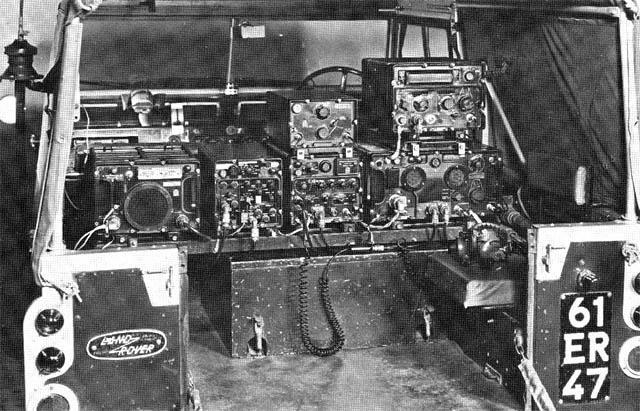 The station can be operated by direct connection of audio gear, via the Clansman harness, or remote lines. Provision is also made for RTT operation and the remote-control of a duplex transmitter from the receiver unit. The Radio Station is available in good working condition. 250 Watt Antenna Tuner Unit RF TURF is available as optional accessory. Other accessories such as Harness Boxes, Hand-Set, Head-Sets as well as Vehicle Mounting Trays for the radio and TURF are available separately on this website.